We hope you will be among our greatest ambassadors and help us realize our dream for a new theatre. One that puts all types of entertainment, community and education at the center and helps us begin the great work we are destined to produce on our stages. Charitable contributions are crucial to our mission of producing world-class theater while serving Atlanta with our renowned education and community programs. Your charitable gifts make it possible for us to provide our audiences with the definitive theater experience and give our artists the resources they need to create the best possible work with the highest standards of excellence. 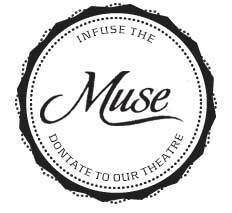 • Donations go directly towards general operating budgets and help to expand our theatre. • We use email, web and vital marketing to keep our print and mailing costs to the bare minimum. • Our directors, designers, performers and staff receive only small stipends rather than competitive wages, to help us achieve financial stability.